You know you have jelly rolls sitting around and you don’t know what to do with them. Make a Rug! The craze is still all over social media. Shelley Taylor is excited to show you how fun they are to make! 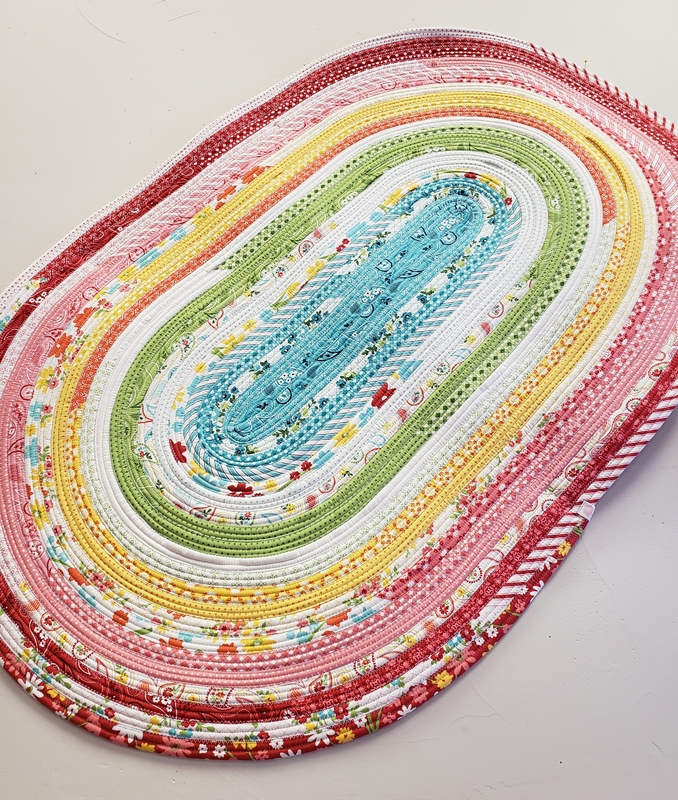 We have oval and rectangle rug patterns by Roma Lambson of RJ Designs available at Corn Wagon as well as rolls of pre-cut batting strips. Choose the style you want to make, grab a jelly roll and let's sew! This class will be held at our retreat center one block east of the shop in the lower level of the IHC Work Med building (385 S 400 E). You will have prep work before class. Having the following steps complete before class means you will most likely leave class with a finished rug. Pattern & all supplies supplies sold separately and are available here at Corn Wagon Quilt Co.